The PWU, one of Canada’s strongest, most democratic and progressive unions, is a knowledgeable and experienced player in the energy sector. We are committed to delivering a promising future for our membership and continuing to help keep the lights on for all Ontarians. 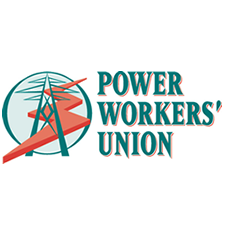 The PWU is the union of choice for the vast majority of the workers who help operate Ontario’s electricity system. The PWU represents over 15,000 men and women (about 70 percent of the unionized electricity workers in the province) working in Ontario’s generating stations, transmission and distribution lines and system control facilities. As well, the PWU represents workers in companies supplying support services for these critical functions as well as some in telecommunications. The PWU also represents casual workers who perform peak and intermittent work programs through PWU hiring hall agreements with various employers.